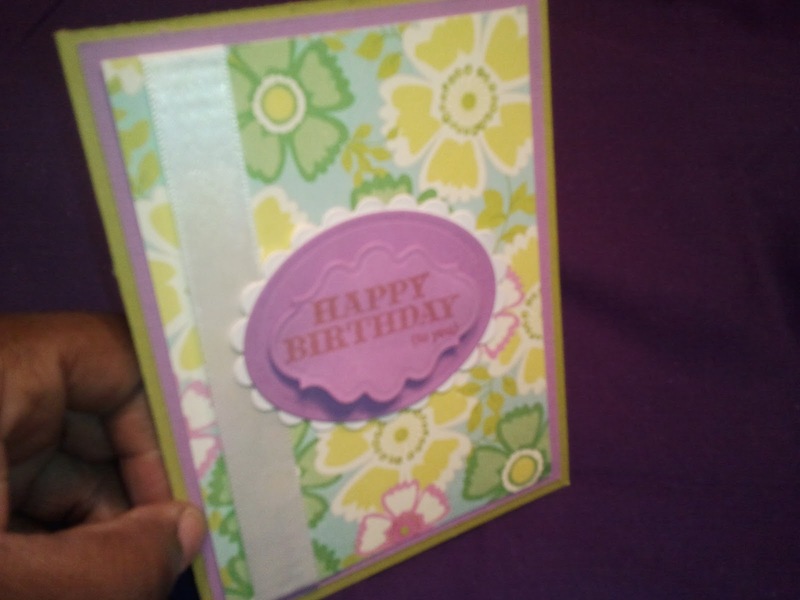 Here is a card I made for my cousin. She is turning 21 and we all surprised her with a birthday party!! I was so wonderful!! 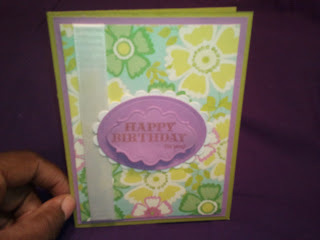 I used Paper trey Ink Simply Chartreuse for the base, Scenic Route Lynden Dahlia Street for the top layer. I used my spellbinder dies for the layered pieces. I hope she likes it!